We purchased Miz Magician at the 2018 Fasig-Tipton December Mixed Sale for $7,000, and she will be a part of the broodmare band at Wasabi Ventures Stables. Placed during her own racing career, at the time of her purchase Miz Magician had produced four foals of racing age, all of which had started, two of which were winners and the other two had placed. She also had a yearling colt by Despite the Odds, and a colt foal by Maclean’s Music in the pipeline. 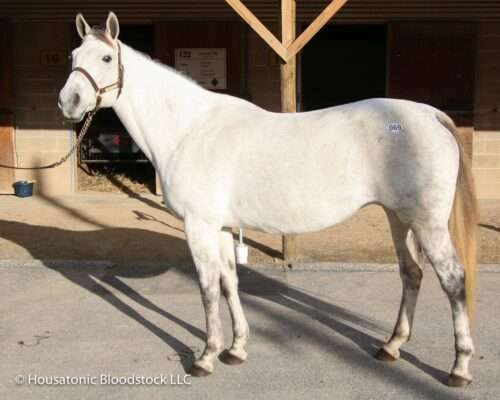 Miz Magician was in foal to the hot young Kentucky stallion Speightster at the time of her purchase. Miz Magician is a half-sister to the Grade 3 winner and leading Maryland sire Street Magician, as well as to the multiple stakes producer Wouldthisbemagic. Her second dam, stakes winner Special Kell, is also the ancestress of stakes winners Strike the Moon and Walk of Stars.